Please Note: This item will ship in November 2018. Subject to change. For one race only, Byron will be driving a No. 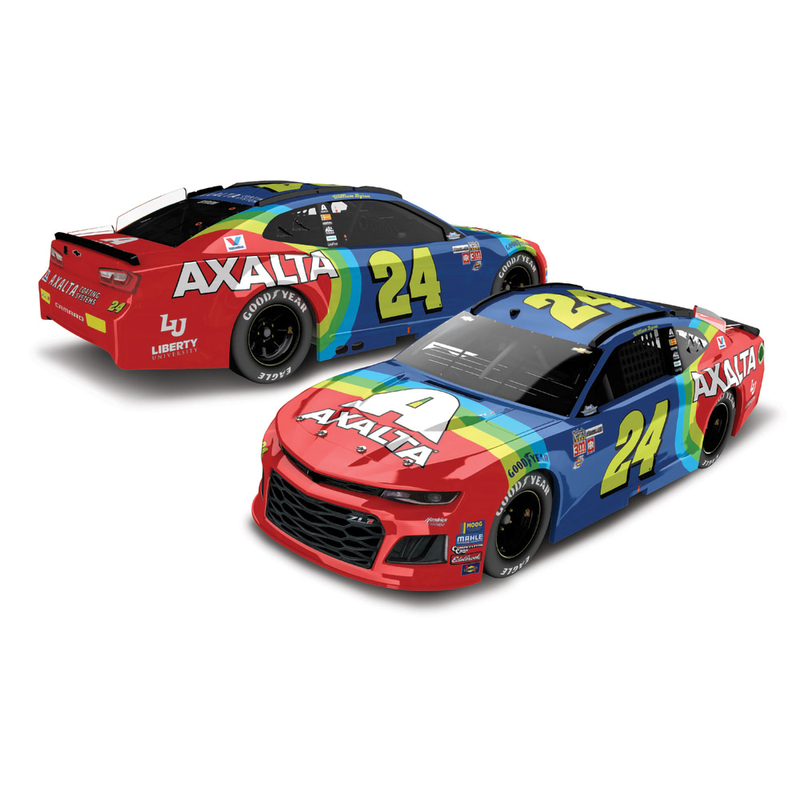 24 Axalta Throwback Chevrolet Camaro ZL1 that has been designed to replicate Jeff Gordon’s famous “Rainbow Warrior” paint scheme. With its electric blue sides and neon accents, this is a throwback that longtime fans of the No. 24 won’t want to miss! Now the official die-cast of this Byron special is available to order from Lionel Racing. Not only is this replica built on the all-new Chevrolet Camaro ZL1 tool, it’s also being offered in two trim levels – an Action Racing Collectables hood-open model and a fully die-cast ELITE version that is produced with an opening hood and trunk.